Post-flooding risks include bacterial and chemical contamination, and significant mental stress. 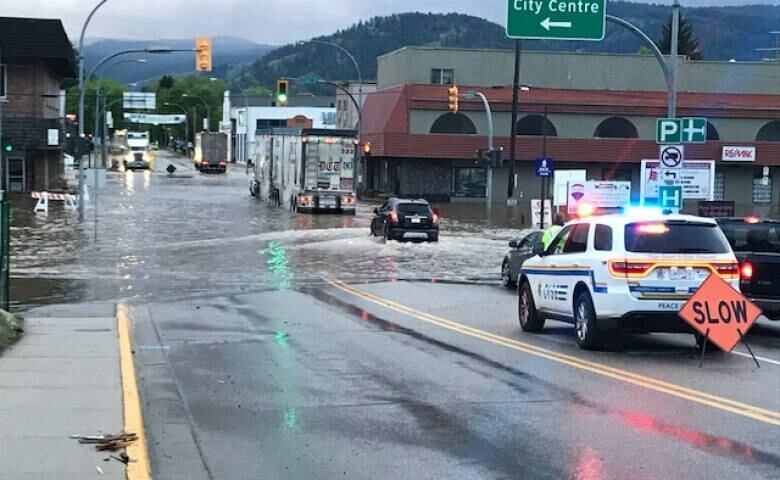 Ebbing in N.B., Rising in B.C. 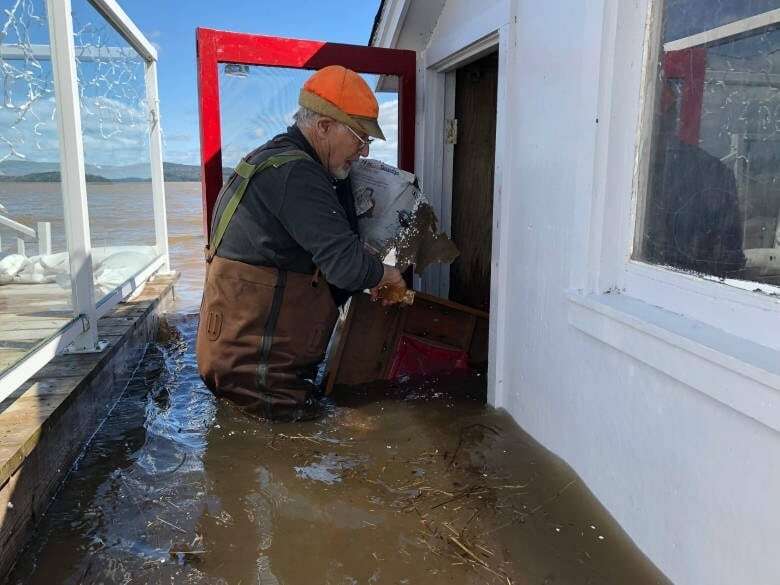 Flood waters in New Brunswick finally began to drop this week, but the same can't be said for the interior of B.C., where flood waters are rising, and thousands of people have been evacuated in what some officials are calling a once-in-200-years flood. The good news is those waters will eventually recede as well, but one of the things residents need to be concerned with is the risks to their health — not during the flood, but after. Flood waters spread contamination — biological and chemical — and authorities are warning people that the danger is not gone with the water. 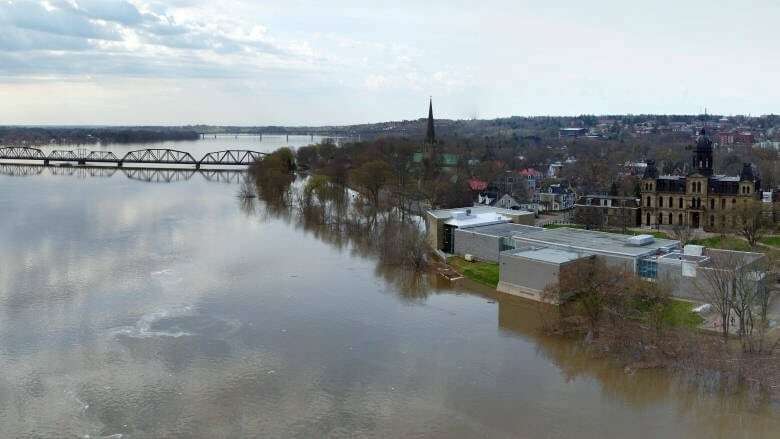 "We don't want animals and children coming into contact with the flood water," warns Dr. Jennifer Russell, the chief medical officer of health for New Brunswick. "We're asking people to not let their children play in those areas until the water has receded for at least a week." People working around the water should also use protective equipment and disinfect their hands after, she advises. Workers need to make sure they're up to date with their tetanus immunization if they're working with contaminated sewage. It's no surprise that we've been seeing more floods in recent years. With increasingly variable weather patterns and warmer temperatures, catastrophic flooding - already the most frequent kind of natural disaster - may become even more common. Tim Takaro is a professor in the faculty of health sciences at Simon Fraser University. He studies the health risks of flooding and how we might mitigate them. "Once you get past the acute phase, the things that we worry about are the exposures from the residual flooding and things that like to grow after they've been moistened." The drywall in houses is perfect once it gets soaked for growing mold, says Takaro. It's a big concern because it lives in the house and could trigger allergies and asthma. Mental health is another big concern. "It's actually the biggest long-term effect that's really underappreciated," says Takarao. People who live in flood areas have lost so much, and the stress can manifest itself as anxiety, depression and even suicide in some cases. While there's no way to prevent floods in the future, Takaro says we can get better at urban planning and making communities more resilient to floods. To prepare for the health risks of future floods, we need to start monitoring infectious diseases associated with the catastrophe and allergic response from mold and dust exposures, he advises. "We need to prepare people and make sure vulnerable populations like people with asthma or chronic disease, young children and the elderly are particularly protected in these events."